Sri Lanka Cricket (SLC) on Friday went into damage control mode after the Barmy Army’s incensed reaction to what it said were exorbitant ticket prices for the upcoming England Test tour of Sri Lanka. The sport’s governing body is now offering the fifth day’s play free of charge for all visitors who buy tickets for all five days. England’s October visit has turned the focus on ticket rates with English supporters, mainly the Barmy Army, accusing SLC of exploiting every opportunity to maximise profits by exorbitantly jacking up prices. In a stinging letter published on their website, the Barmy Army (a semi-organised group of English cricket fans who arrange touring parties for some of its members to follow the English cricket team on overseas tours) accused SLC of “treating English cricket supporters as a cash cow” through the imposition of inflated ticket prices. But SLC’s official hospitality partner for the England series, Island Leisure Lanka (Pvt), differed. It said they are selling packages and not tickets on their own. “We are not selling tickets as per our contract but we are selling them with value additions which is the system adopted in many world sporting bodies such as ICC, FIFA , IRB & Ashes series etc.,” said Chandana Amaradasa, Managing Director of Island Leisure. The tour packages start from US$ 65 per day and includes six drinks, backpack and a tour cap. It goes up to a maximum of US$ 145 per day with various value additions like buffet lunch with unlimited drinks, morning and evening tea with seats in airconditioned comfort. The normal ticket prices range from Rs 300 to Rs 5000 and SLC says foreign visitors could purchase them without any discrimination. Although Silva claims visitors could buy the non-premium tickets, these are not on sale as of now. And this one of the main grievances of the Barmy Army. A similar situation arose in 2012. Some tourists who could not secure tickets for the Galle Test watched play from the vantage point of the historic 17th-century Dutch fort which overlooks the stadium. Now, however, they are now threatening to boycott the tour if no finality is reached regarding the ticket prices. But the hospitality partner is not overly-worried as Barmy Army participation amounts to just 10 percent of the total number of English fans expected during the tour. According to the hospitality partner, trouble started after many tour operators, both local and British, incorporated match ticket costs without any official communication from SLC. After the prices were officially released, several travel agents tried to get the price reduced but were fobbed off. The Sunday Times learns that more than 50 percent of those premium tickets have already been sold out and the hospitality partner is confident of vending the remainder to high-end tourists. But the presence of a healthy number of touring fans is of particular value when it comes to the television companies. While they make up a relatively small proportion of most crowds, they often make the most noise helping television companies draw in viewers owing to the atmosphere they create. 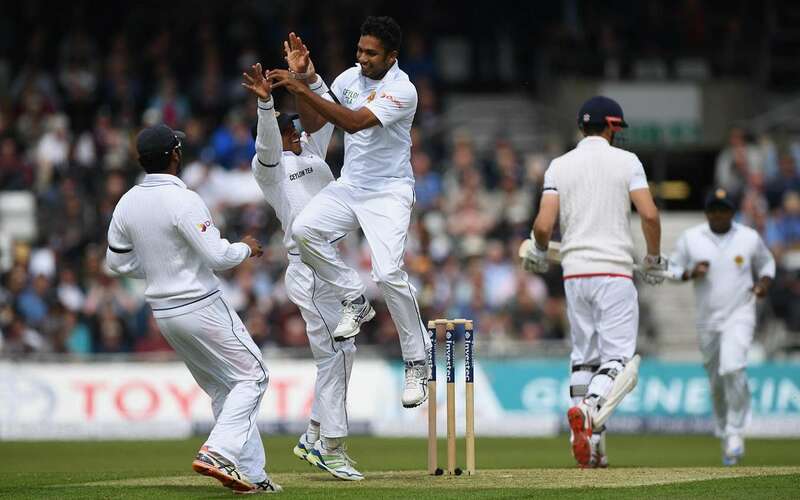 Sri Lanka will play three Tests, five ODIs and a one-off T20 during the seven-week long tour. Typical Sri Lankan ploy to milk the foreigners and bring disgrace to the country. What rubbish!! Have you tried to buy ticket at Lords?????? It will set you back at least 20 to 30 pounds pounds per day. SL is cheap as chips. BTW, have to tried to buy Fish and Chips in England.??? This is another story..... Stop complaining.